I take D3-5000 by NuMedica to help with my moods I work 3rd shift and now that it is fall the days are shorter with less sunlight it help lift my down moods. D3-5000 was recommended by my Naturopath doctor. For some reason I just dont tolerate vitamin D well especially one this strong. I seem to do better with the micellized drops. It is probably a great product but dont try it if you are sensitive at all to D.
Restore your bone health‚ when you use D3-5000™ Softgels from NuMedica®. 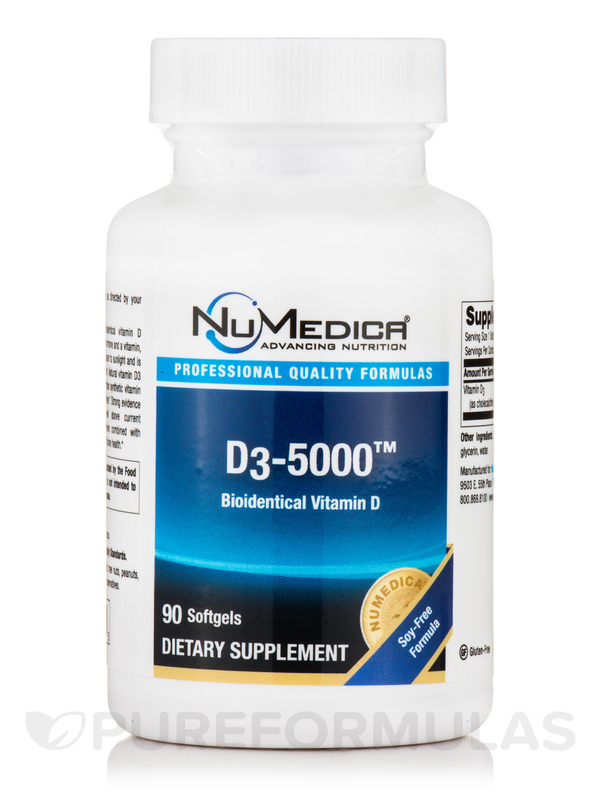 This formula featuresvitamin D in its most absorbable form. 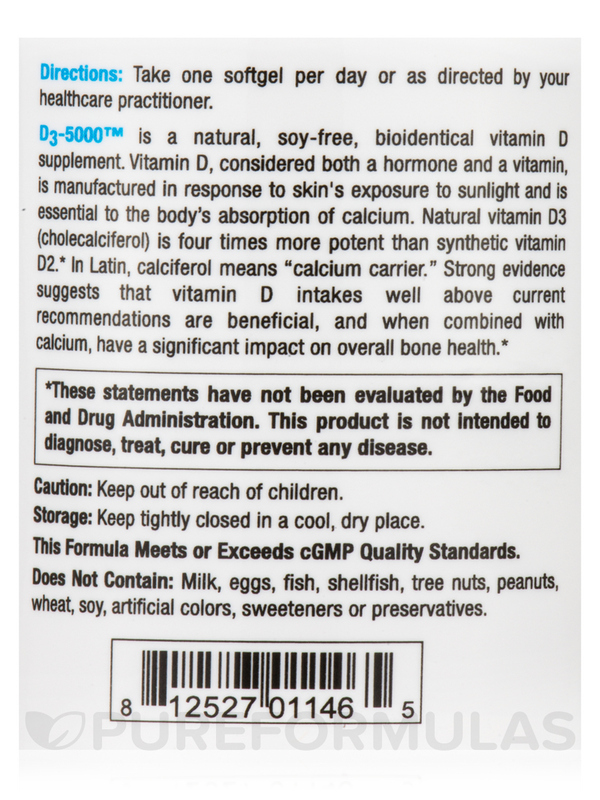 Normally produced by exposure to sunlight‚ it is necessary for the absorption of bone-building nutrients‚ like calcium. 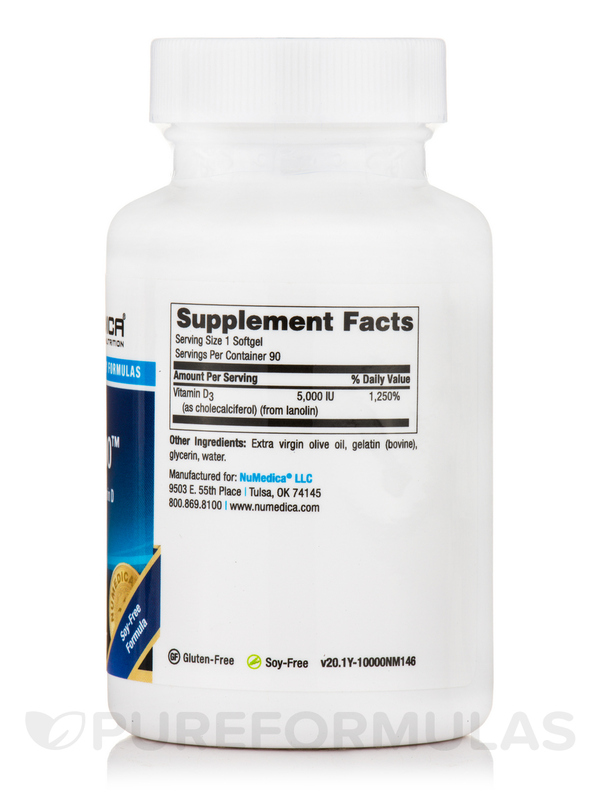 Further‚ it has been reported to support the immune system response to protect your body from inflammation and degeneration. 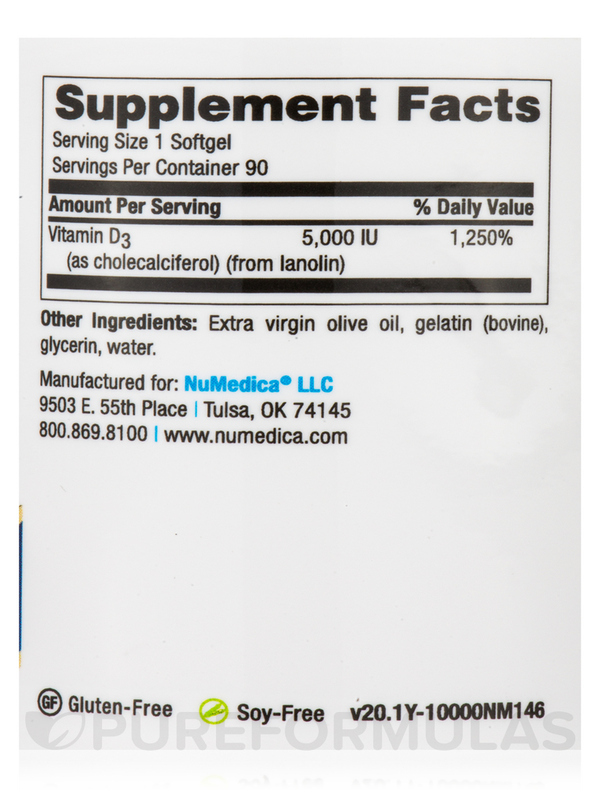 This dietary supplement from NuMedica® comes with vitamin D3 (cholecalciferol) that could offer support in bone-density loss and related symptoms like pain and brittleness. This may combat calcium and D3 deficiencies in senior adults‚ menopausal women‚ and people suffering from kidney conditions. It appears to support certain facets of circulatory and cardiovascular health‚ and may promote a healthy glycemic index. Vitamin D3 is essential for the regulation of certain minerals including calcium and phosphorus. It is likely effective in obesity‚ chronic fatigue‚ weakness‚ and respiratory conditions. 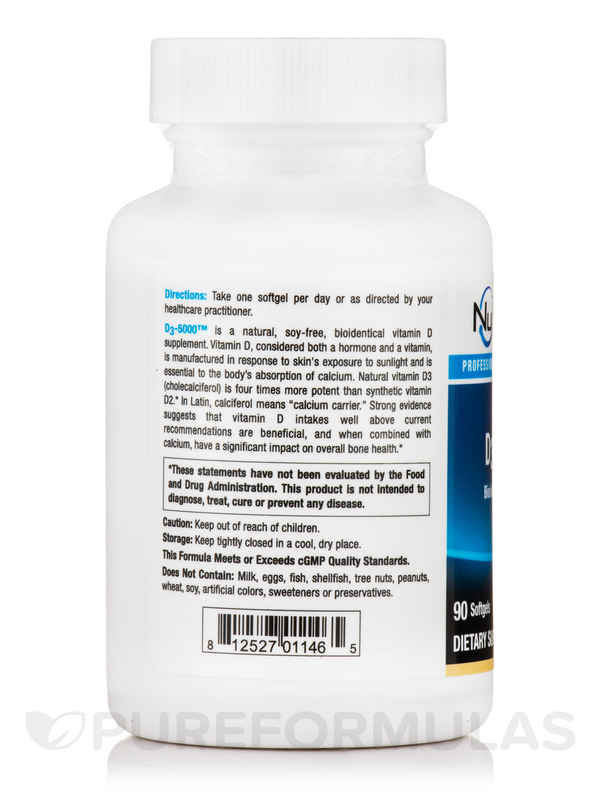 Start taking D3-5000™ Softgels from NuMedica® and you can embrace a systematic approach to bone health care and repair. Other Ingredients: Extra virgin olive oil‚ gelatin (bovine)‚ glycerin‚ water. Does not contain: Milk‚ gluten‚ eggs‚ fish‚ shellfish‚ tree nuts‚ peanuts‚ wheat‚ soy‚ artificial colors‚ sweeteners or preservatives. Great price. Good for seasonal change disorders.